Donation Envelopes Sequi envelope system is 90 years old this year and has developed into one of the most widely utilised offering systems in the UK with over 2 billion envelopes produced to date. 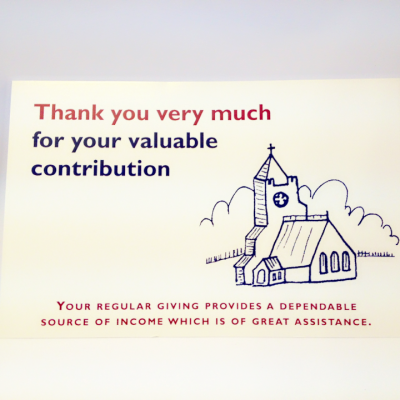 We are extremely proud to continue to support the churches and charities utilising our system and welcome any new enquiries as we produce and provide the best system on the market. 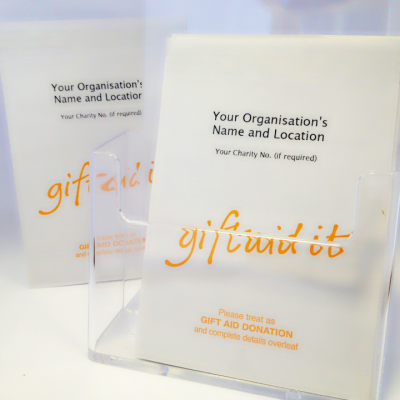 Why choose envelopes for fundraising? With a return on investment of approximately 2000%, our SEQUI® system is unrivalled as the main method of raising funds for churches. SEQUI is the complete offering envelope system and the first to become trademarked in the UK for weekly offering envelopes, and that was way back in 1927! Whether you distribute envelopes for one-off, special donations or encourage people to give regularly with an envelope for every week of the year, our products make the task easier both for the giver and for the administrators. But just why are envelopes so effective? The contributors’ sense of belonging and responsibility to their own church is heightened with each envelope personalised with their church name and location. Contributors find envelopes convenient and simple to use. If they are giving weekly, they have their own set of 52 envelopes held neatly together in correct date order yet easily detached when required. The maximum amount goes to your church funds thanks to a unique manufacturing process which produces the envelopes at low cost. The perforation facilitates the removal of the offering. 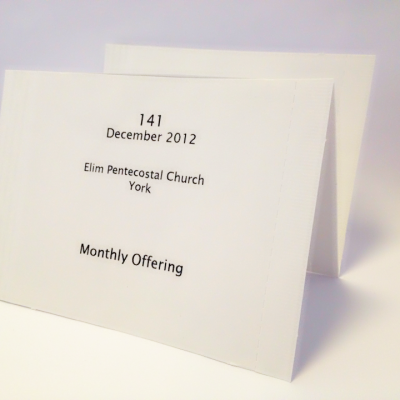 For large congregations, the system can be subdivided by using different envelope colours. The envelopes can be used alongside our unique range of Cash Books and Stationery to provide a confidential record of offerings. You are drawing on our many years of experience coupled with innovative products carefully designed for today. Can they be used with Gift Aid? 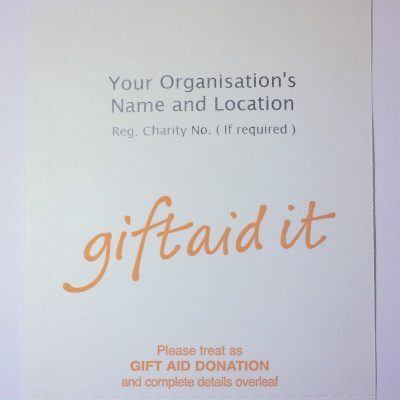 All of our weekly, monthly, Quarterly and Gift aid ranges are approved by the Inland Revenue Charities Section under the Gift Aid Scheme. We advise our customers on the type of information required to claim Gift Aid and can offer guidance on how to access the knowledge to claim this vital method of additional revenue. Do I have to use one of your stock designs? Our specialist team can provide the exact design in the paper and print colour that is required whilst understanding that budgets need to be met. The advantage of utilising our stock designs is simply in knowing that the cost stated in our brochure is the total cost meaning there will be no extra charges applied for plate making or ink production. You only sell envelopes, right? Wrong, we deliver the full stationary package including weekly, monthly and special collection envelopes, treasurers cash books, gift aid registers, containers, enclosure envelopes, Gift aid receipt cards, C5 pocket envelopes, Letter headed paper, with compliments slips, etc. Click on theProducts link on the navigation bar at the top of this page. The Inland Revenue encourages churches and charities to reclaim the taxable portion of the donations they receive. 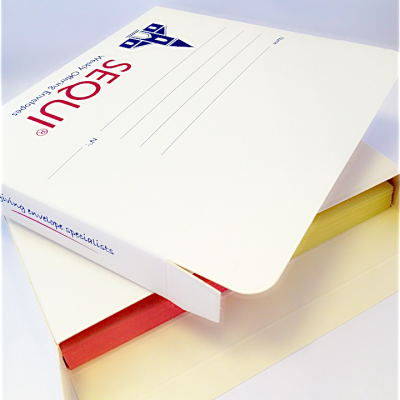 Our envelopes and stationery allow you to create a suitable system very easily. The site contains a wide range of documentation on how to claim tax back from donors effectively. An invaluable site for churches and charities.